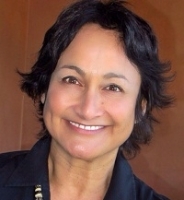 Gia Rozells is an HCI pioneer who drove the integration of customer-centered thinking into the core values and processes at Intuit. She was the first Director of User Experience at Intuit and grew the UXD community to over 200 research and design experts. Gia authored the first version of Turbotax Online, developed the Innovation Catalyst program, and helped create the Design for Delight method that drives innovation at Intuit. Currently, Gia is the Director of User Experience for Becton Dickinson where she’s implementing a new innovation process and expanding the UXD function.